Are you ready for Lake Havasu’s 4th of July Fireworks Show? This year 4th of July falls on a Friday leaving us a three-day weekend to enjoy the beautiful lake and amazing Lake Havasu City fireworks show this 2014. As the sunsets in Havasu, the small town packs into Thompson bay by land or boat to await a breath taking Fireworks Over The Lake Show that can be seen from anywhere in Lake Havasu City. If you plan on watching the Lake Havasu fireworks show from land, you have a couple of great options. Free locations include Rotary Park and The Nautical Beachfront Resort. The two beaches will have great views and plenty of parking. Both Havasu beaches will fill up quickly, so bring your chairs, beach blankets, and umbrellas to get your spot early. Now if you’re looking for an amazing view of the fireworks show, your best bet is parking your boat in Thompson Bay. A site of it’s own with hundreds of boats in the bay almost resembling a small city floating on the lake. You will have a direct view of the fireworks as they go off right over your head. 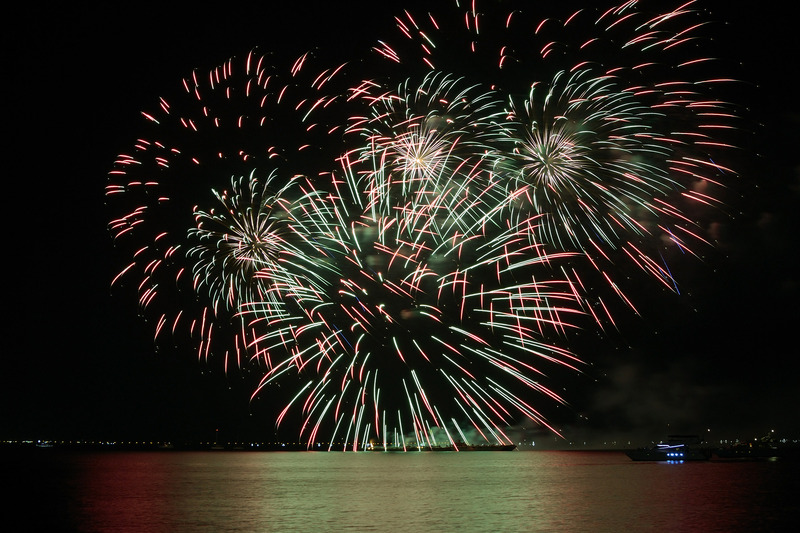 There isn’t a better place to enjoy your independence day than the Lake Havasu Fireworks Show, so bring your family and friends and enjoy the show! We here at The Vicki Runyon Team would like to wish you a safe and Happy 4th of July this 2014! And most importantly…Have Fun! Spacious and elegant Lake Havasu golf course home, open floor plan, perfect for entertaining! Fabulous entry with dbl doors, 18′ ceiling, custom wet bar, state of the art sound system with 24 speakers, 3 A/C units, whole house ventilation. Beautiful backyard with computerized pool controls, private master suite. This Lake Havasu golf course home has been extremely well cared for and is truly a must see!! 2220 Chip Ln. Lake Havasu City, AZ 86406. This Lake Havasu City Home is ABSOLUTELY perfect!!! This recently updated home has all any picky buyer is looking for. Large kitchen with granite and stainless appliances. Separate living and family room. Large, bright guest bedrooms. Enjoy your pool and relax on the large covered patio. Even has a nice lake view from the front. This Lake Havasu City Home is a MUST SEE! !